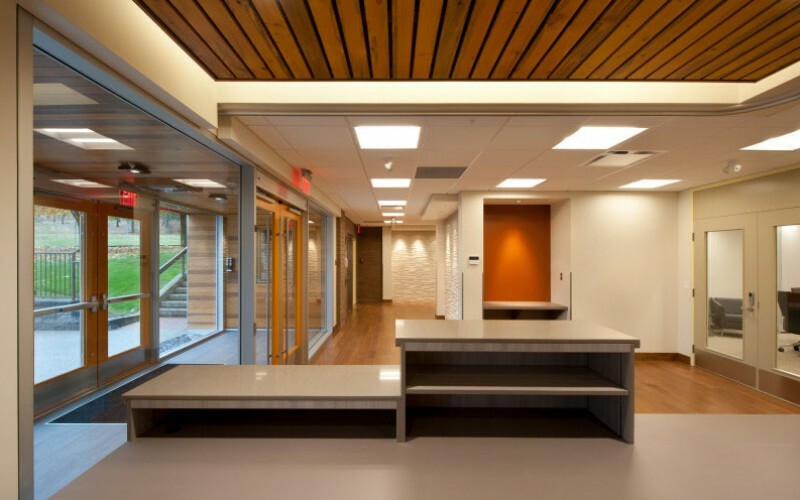 Meiklejohn Architects designed this renovation to the Lindley Building of the Westbank First Nation Band Administration offices. 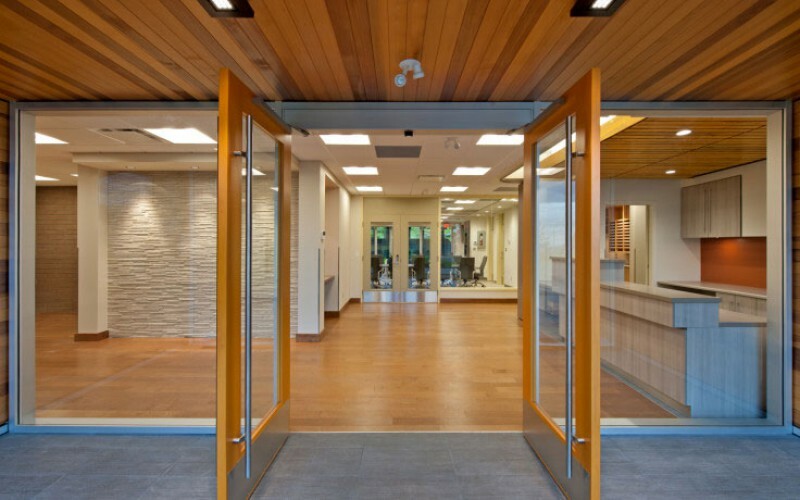 The renovations were completed in 2012 by WIBCO construction, a First Nations construction company based in West Kelowna. 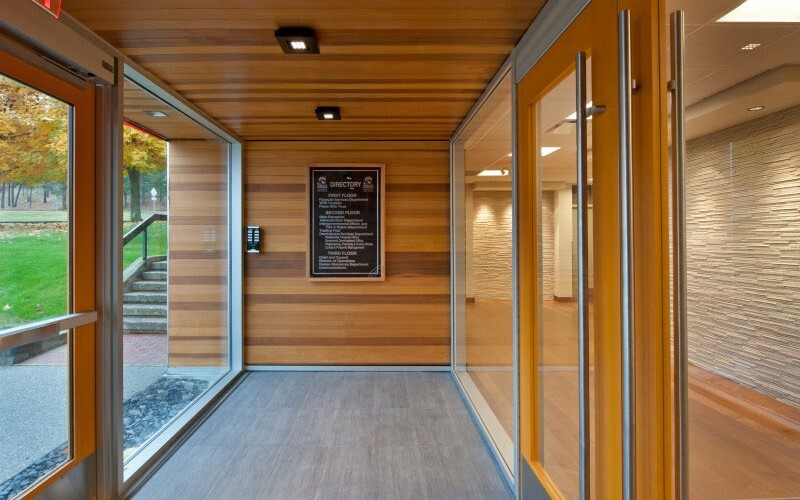 Sustainable materials used in this project include beetle-kill wood ceiling panels, solid-wood flooring, linoleum, high-recycle-content ceiling tiles, low-VOC paints and extensive interior glazing. The design concept fuses traditional First Nations design motifs with clean, modern lines. 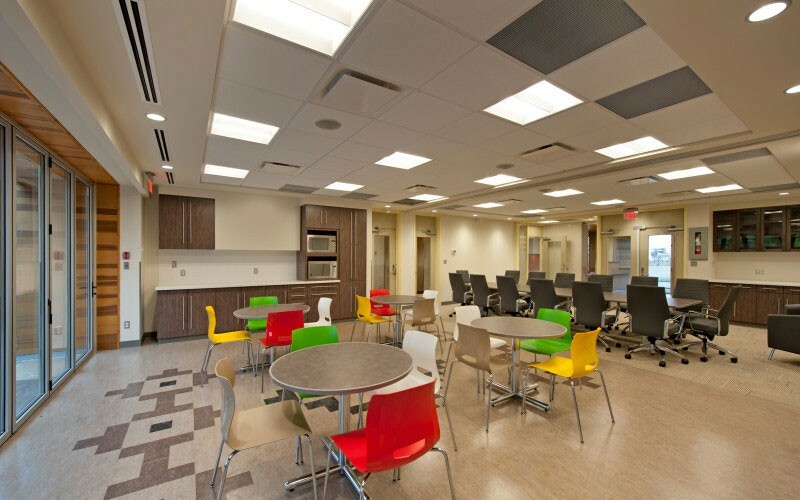 A traditional grass weaving pattern borrowed from the WFN museum collection was the inspiration for an intricate cut-and-seamed linoleum floor in the staff room was inspired by a traditional grass weaving. WFN logos, motifs and cultural references are located throughout the interior, and there are special niches and art walls for the display of significant art pieces.